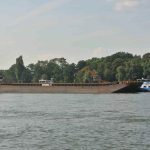 On July 10, the 112 meter long self-propelled barge Christiane Deymann I and the barge Christiane Deymann II ran aground on the Rhine near Diehl, Germany. 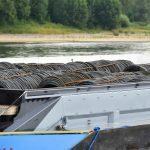 The vessels were en route to Mülheim from Kehl with a cargo of steel coils. Near Diehl, the vessels moved out the fairway to allow another vessel to pass and went aground in shallow water. 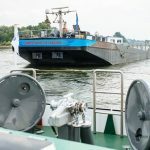 The water police was alerted and alerted nearby ship traffic to reduce speed. Initial attempts to refloat the Christiane Deymann I and II were unsuccessful. 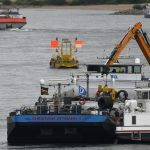 The following day another barge arrived on scene and lightered the Christiane Deymann II which was refloated. 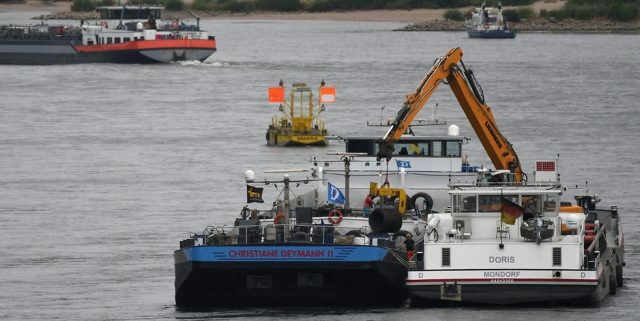 On July 12, the Christiane Deymann I was refloated after 600 tons of steel coils were lightered. No reports of injuries or pollution released.